This trampoline for the Dart 18 catamaran is perfectly adapted and will replace your old trampoline whilst offering you the same performances. This black mesh trampoline is adapted to intensive or regular use of your Dart 18. - The trampoline is fitted at the front and on the sides of the catamaran thanks to a slide rail system. At the back of the boat is a sheath where you can slide a fixation bar. Caution : 8 mm diameter for front boltrope, 6 mm diameter for lateral boltropes. Please contact us if your diameters are different. 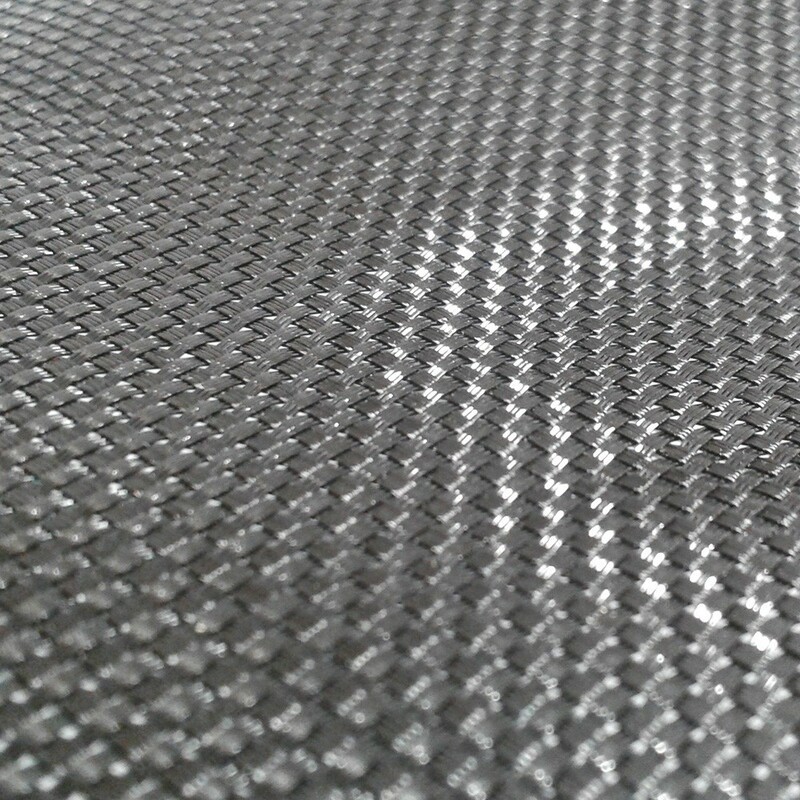 - To offer you the best navigation conditions, we have used a mesh material, which is the most adapted for sport catamaran trampolines. 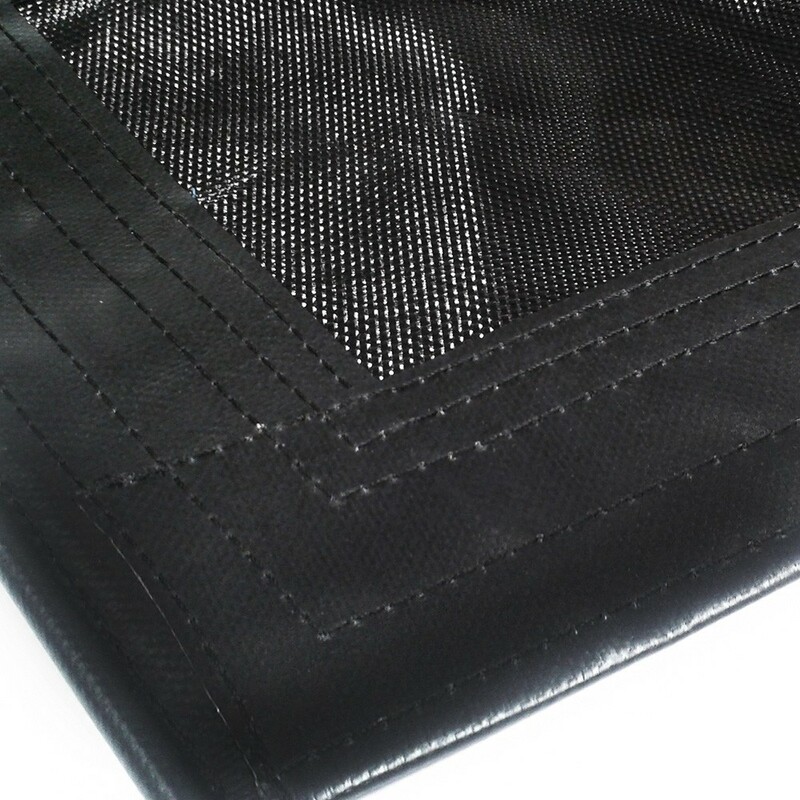 - We have decided to use reinforced stitching with incredibly resistant thread, making it more tear proof. To increase durability it has been UV protected. - The trampoline has stainless steel eyelets, through which you can thread straps and tension systems and which are resistant in nautical conditions. - As an extra option we can provide a pocket in which you can place ropes and straps. 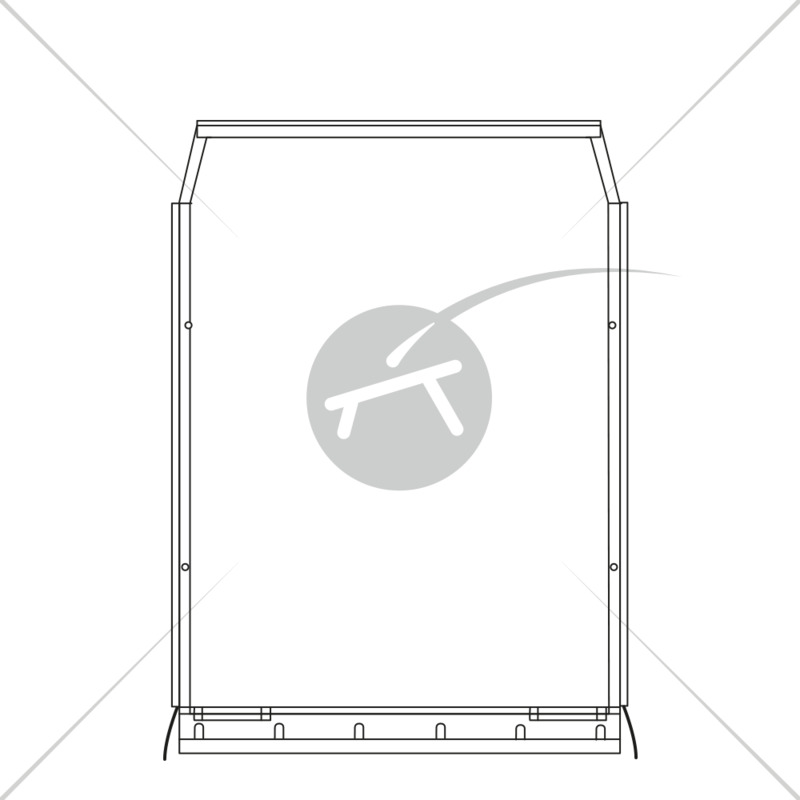 - This trampoline can also be manufactured in canvas, which a lot of sailing schools appreciate. Canvas trampolines are available in different colours such as blue, yellow, green, red and black.